Up bright and early on Day 3, coz today’s the day we go island hopping. We spent some time yesterday afterday checking out the prices at a few of the tour / dive shops. All of them offer the same two packages, but with slightly varying prices. Tour 1 is more suited for beginners and families with children, Tour 2 goes further out to sea and more challenging sites. We picked the shop offering the cheapest price, it was also the one with the friendliest owner. 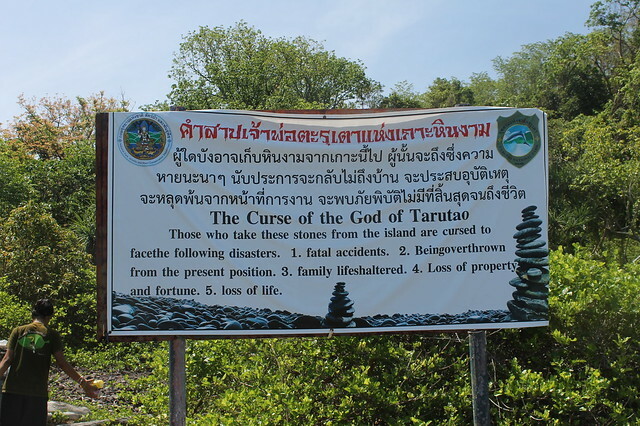 The package cost us THB1600 (RM160) for 4 people, inclusive of lunch, not inclusive of fee for entry into the Tarutao National Park. 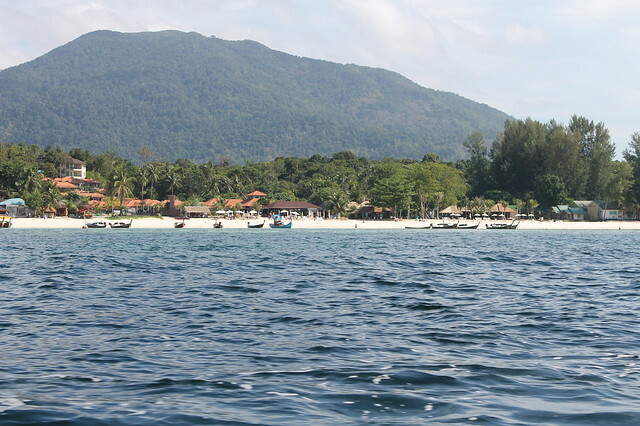 Ko Lipe sits on the edge of the vast park which has protected reefs and dive sites. 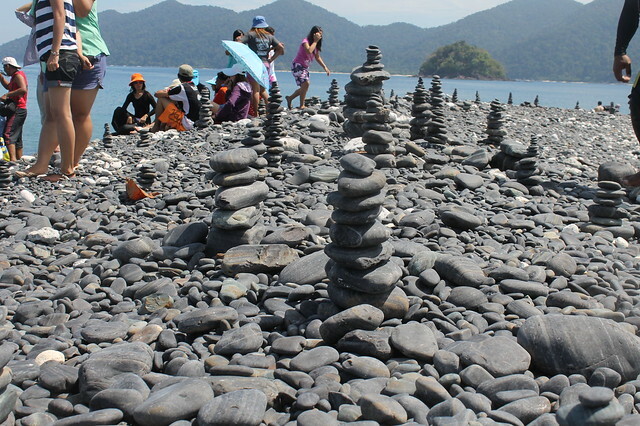 The island hopping tour takes you to about 5 places around the surrounding islands. It starts from 9.30am to 4pm, and they really use the time to the max, so for RM160, it was really worth the money. 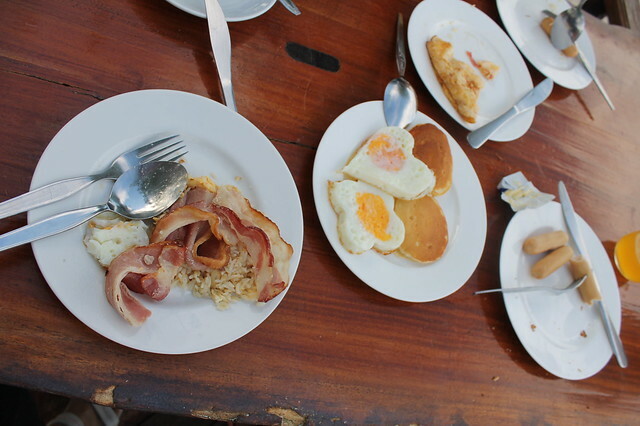 But first, brekkie at our resort. Gotta load up on the carbs for the long day. All the tour participants gather at the beach before set off. All the tour operators work together to optimize the number of tourists per boat. In total i think there were 7 or 8 boats going out that day. 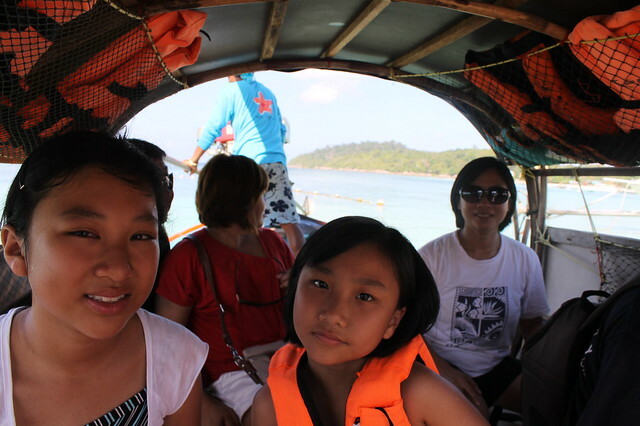 Our longtail boat consists of us, a middle age couple from Penang, a father and 10 year old boy from Thailand (mother and younger daughters stayed back on Lipe) and a young Swedish girl named Malin. 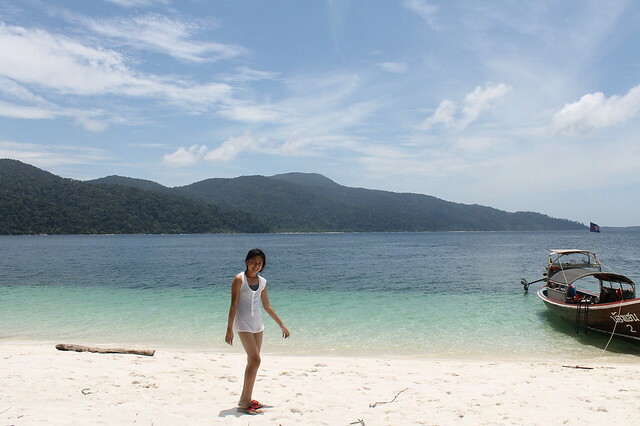 We got to know Malin, she’s travelling alone across Southeast Asia, much like Elizabeth Gilbert in ‘Eat, Pray, Love’. 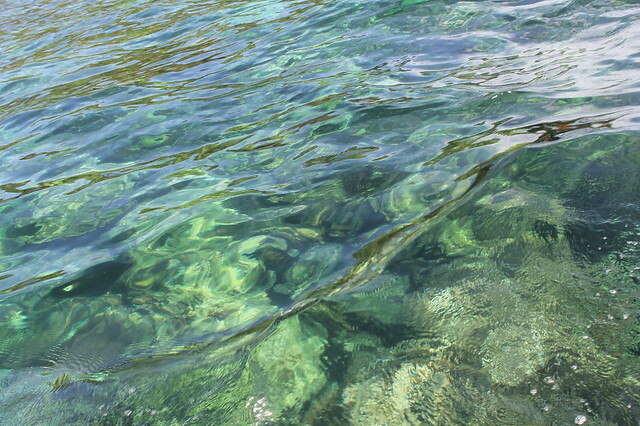 Beautiful clear waters everywhere, as we set off. 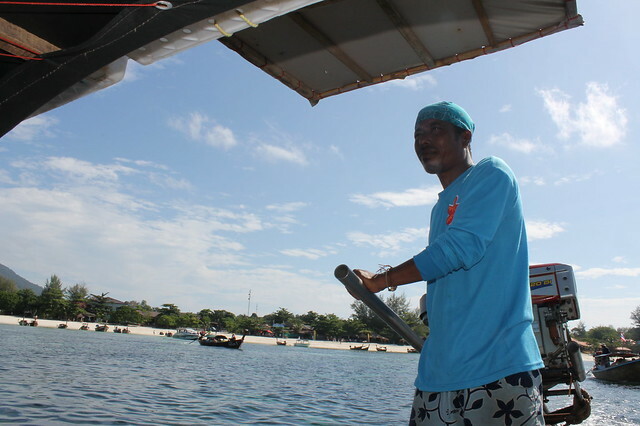 This is our boatman. Speaks a little Malay. Excellent swimmer, very experienced at sea. He even dived to the ocean floor once to save my snorkel that fell off. 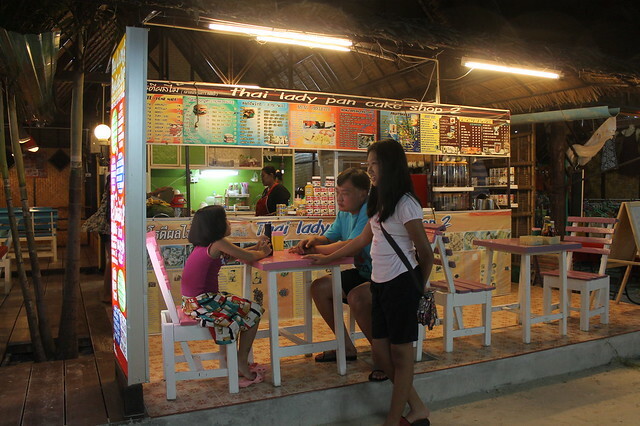 First stop – Jabang / Koh Hin Nam. At first getting into the 16m deep waters right was a little scary, we were panicky a bit. But the next few stops were better. Then we went ashore to Ko Hin Nam. 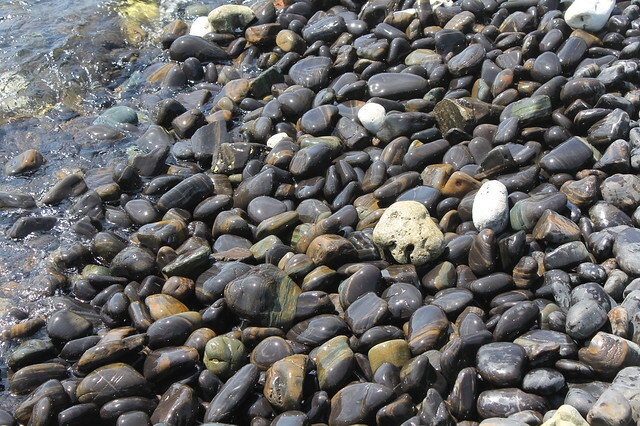 On this particular beach and only on this island, the stones are of this very strange shape. 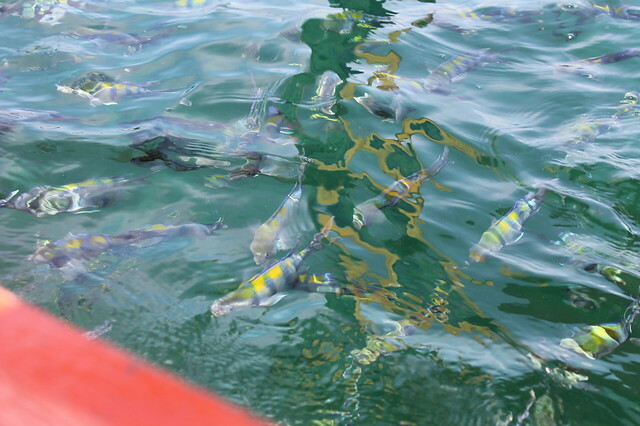 Third stop was about 2 km out to sea, where there were fantastic corals and fish. 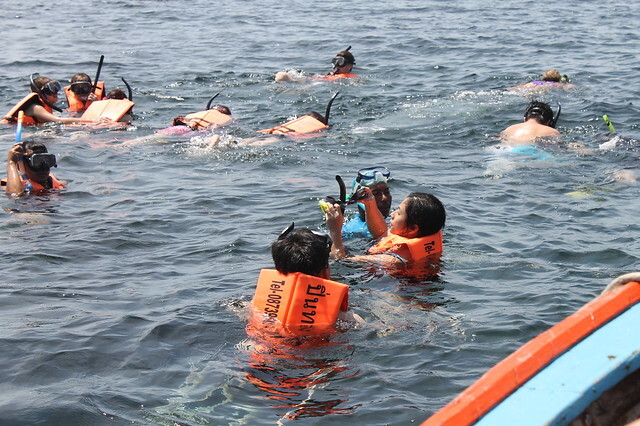 Here because of the strong currents, there were ropes attached to buoys for everyone’s safety, making it much easier to snorkel. 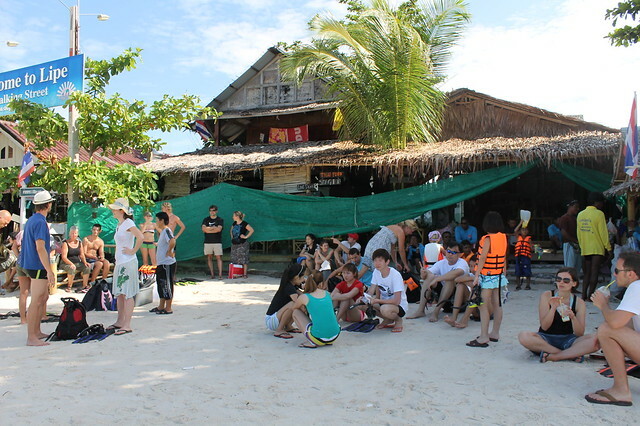 Lunchtime was on Ko Rawi, one of the two large islands around Ko Lipe. Lunch was rather simple, packed fried rice with watermelons. We ended up feeding the watermelons to the fish. Just hold it underwater while snorkeling and all kinds of large fish will come and nibble aggressively at it. 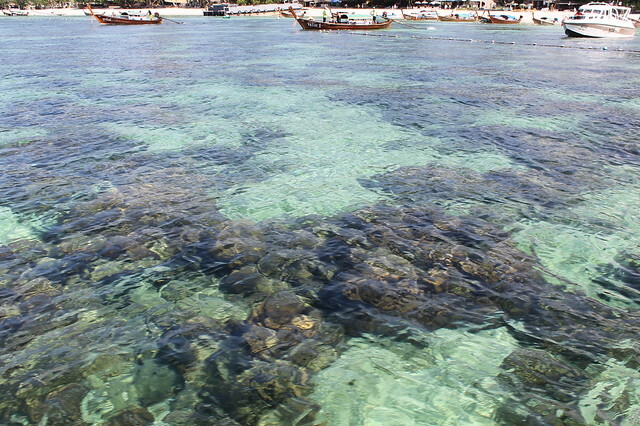 Both the large islands, Rawi and Adang are uninhabited, but there are dozens of excellent snorkelling and diving sites around them. 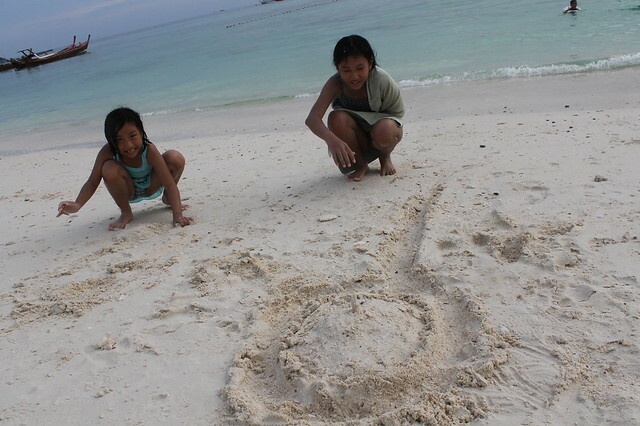 As it is on Lipe, the beach and water is beautiful. 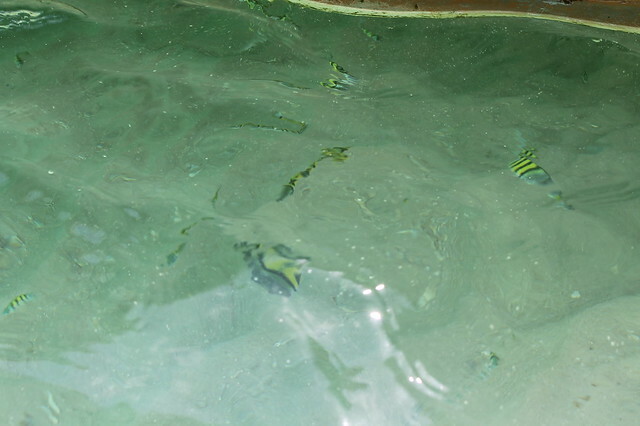 Fish gathering under our boat. 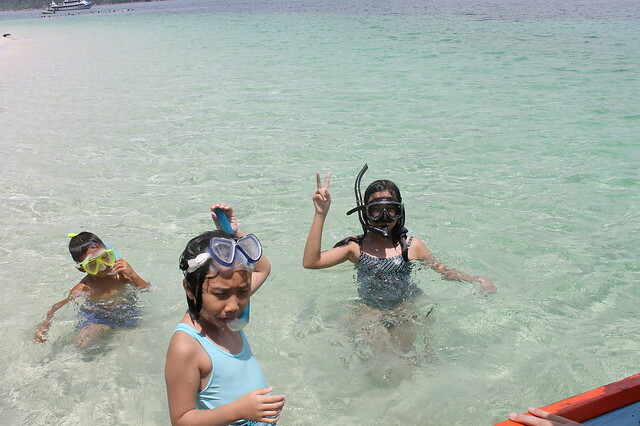 After lunch we had a long time to snorkel just off the beach. After lunch there was another dive spot off Adang. 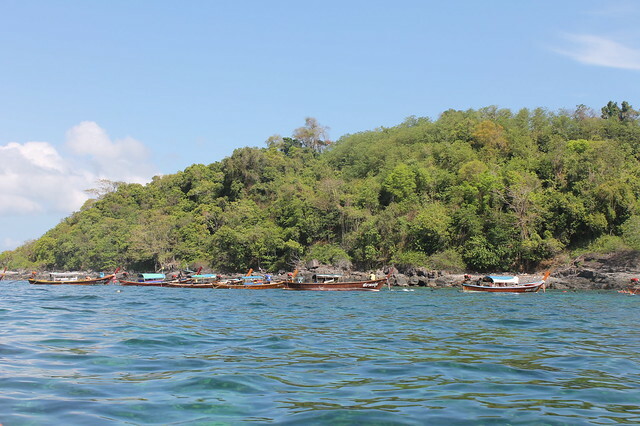 On the way back to Lipe at about 4pm, the sun was mercilessly hot. I didn’t realize it, but we were extremely sunburnt, despite our sunblock. Not only that, the top of my feet were also burnt, something i would suffer a lot for in the next few days. 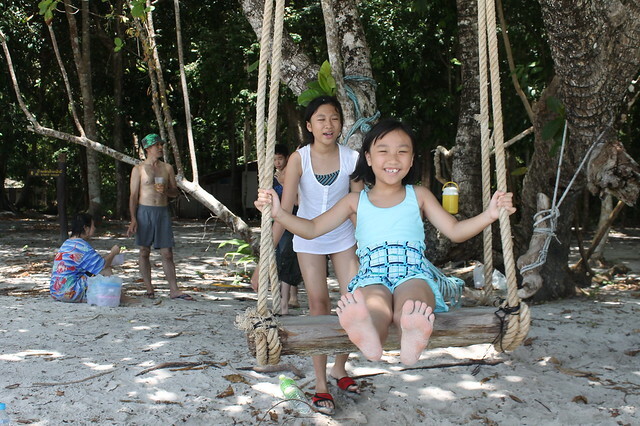 After reaching back to Lipe, the kids got MORE beach time. Me, i headed back to the room, took a shower, nap, and propped on bed reading my book. We took an early dinner, saw a couple doing wedding shots on the beach. Really, what’s this shorts and sweater look? 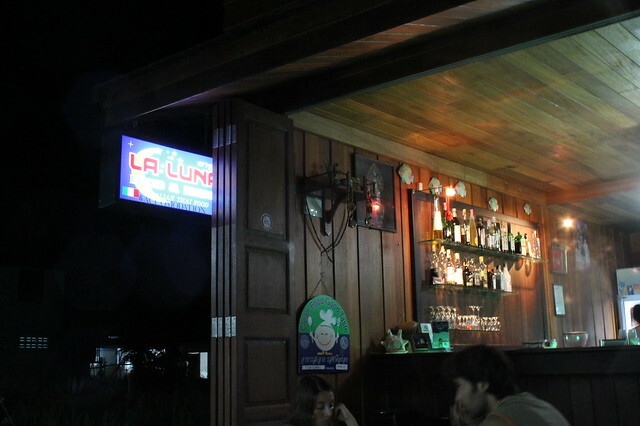 We went to La Luna, just off Walking Street. Run by an Italian who married a local, this was perhaps the best Italian restaurant i’ve been to. EVER. Then we took a slow walk back, stopping by to try the local Pancake as recommended by Hui Ling. Next: More fun in the sun.